While reading the excellent book Purple Hibiscus from the outstanding Nigerian author and previous Princeton lecturer Chimamanda Ngozi Adichie, I got to thinking about abusive relationships and how women get stuck in them, unable to break free from these iron shackles. In the novel, the heroine endures torture from her father, who tells her he’s doing this for her own good. 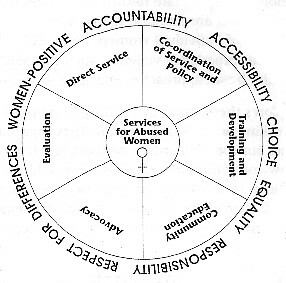 As the world is getting ready for the 54th Commission on the Status of Women to be held in New York in March, that will review and strengthen the commitment to the Beijing Declaration and Platform for Action, domestic violence and abuse against women are now more than ever getting attention from both national and international authorities. In my whole 25 years of existence (Don’t laugh, I know it’s a small number, but it just goes on to proving my point, which is,(keep on reading)), I have witnessed women being abused verbally in public by their partner or by their father, I have heard testimonies of physical abuse given by young women, women under 30 years of age, already carrying the burden and repercussions of such emotional and physical turmoil so early on in their woman’s life. To many, the abused woman is the married woman suffering beatings from her alcoholic husband. This cliché, like all clichés, has a lining of truth, but let us not forget that abuse can be physical, but also emotional, that it can happen to any woman, and that it can also take place in a parent-child relationship. Besides, violence can also be perpetrated by women, but as the vast majority of violence against women cases recorded have been made by men, we will stick to the gender angle for the purpose of this article. I have often wondered why women who find themselves in such a relationship do not simply leave their very own private hell. While it seems very easy to have this rather judgmental kind of reaction, things are far from being so black and white, many shades of grey can appear: many women could be afraid not to be able to sustain their family financially without their partner’s support, some others claim they still love the person who abuse them, some will even tell you they were guilty of something and deserved this outburst of violence, and some will simply not realise they are being abused, because to them abuse is only physical, and they won’t have the appropriate tools to unveil the emotional mistreatments. While it is possible that many women probably think along these lines, I’m also convinced that something in their partner’s attitude keeps them emotionally attached to them, triggers something in their mind and heart for them to stay or makes them feeling so guilty and worthless that they become grateful to their partner for “putting up with them”. Studies have shown that the abusive partner is generally somebody who exerts some kind of power upon their victim, whether financially or emotionally, which puts the abused woman, right from the beginning, in a dependent situation. Right at the start of the relationship, there is a will to dominate the other spouse or partner. The process will slowly creep on the relationship: it’ll be a hurtful comment, or a slap. These incidents will be followed by justifications such as “But I’m only saying this because I love you”, or “You provoked me, I went out of my mind, I’m sorry, It will never happen again”. 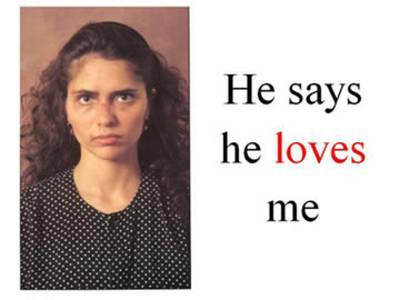 Emotional manipulation is a big component of the abusive partner’s attitude, along with making the victim feel guilty, put the blame on her. In the eyes of her aggressor, an abused woman has all the flaws in the world, and she should be grateful that he’s staying with her. Insults, degrading comments and intimidating measures will happen often, leading the woman to feel worthless, guilty, and to continuously ask herself if what her aggressor is saying is true: Is she really such a bad person? And if so, why is he still staying with her? Surely, he must be an outstanding person? And there you go. This is how a woman can endure so many unspeakable treatments and this is how this vicious circle starts. However, it doesn’t stop there. In order to ensure a firm grip on his prey, and make sure that his partner will never leave him, the abusive man will know how to cajole and seduce his spouse/partner. While continuous violence will eventually lead to a defensive reaction from the victim, an alternation between evil and angel will have her confused: “He can be so adorable; I must be really awful to him sometimes to push him to this extent”. The violent partner will be charming in society and with other people, only throwing from time to time the degrading comment (with a smile and condescending laugh) to the woman accompanying him. These strategies are equivalent to brainwashing, and with such an oppressing burden, no wonder mistreated women have trouble leaving their homes. This is why it is tremendously important to teach women, not only about their rights, but also about how to identify the first signs of an abusive relationship, when it is not too late to intervene or for the woman to seek help. Just think about what difference it would make if women would walk into relationships aware of these twisted strategies and manipulations. Maybe women would have more confidence in themselves. Maybe a woman wouldn’t die each week in Europe following violence from her partner. While we reflect this year on Beijing+15 and on the status of women, let us not forget that education is not only knowing about national laws protecting women or CEDAW. It is also giving women tools that they can use before they actually need to resort to these laws. It’s called prevention, and it works. « Make the New Year’s Resolution to Resurrect Beijing!